Life for all of us, has its ups and downs; it’s the transient nature of life within and around us. Most circumstances cannot be controlled, however with practice we can learn to be more at peace with life as it unfolds. More recently, my meditation practice has moved from a more structured sitting, to a practice that moves with me – Mindfulness in action. At first I was concerned at my resistance to sit each morning, then became curious; Is there something else that is calling my attention? I feel blessed that sitting quietly and observing what comes and goes, comes pretty easily to me, however I feel now that my practice is to find this same level of ease as I navigate each and every moment. Erich Shiffmann in his excellent book ‘Yoga. The Spirit and Practice of Moving Into Stillness’ talks about levels of stillness. The first level of stillness involves learning to relax, become centred and meditate. This technique involves being still, deliberately pausing and being still and centred in the moment you are presently in. “When you are able to relax and quietly suspend all your firmly held false ideas and limiting beliefs about who and what you are, only what is true will remain”, Erich says. “This is like polishing a mirror – removing the grime – and seeing yourself clearing for the very first time”. The second level of stillness involves living your life with this new understanding of who you really are: in other words, meditation in action. 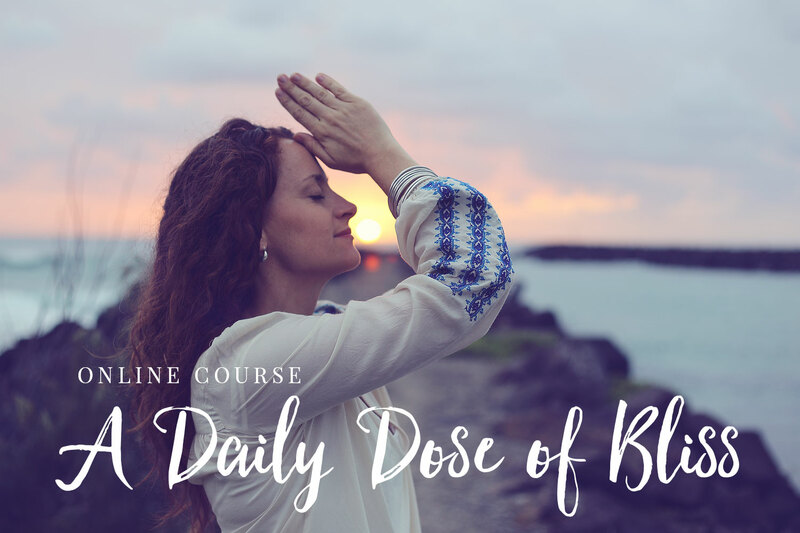 This involves continually letting go of the judgements, evaluations and opinions about yourself, others and the world around you throughout the day. It’s about meeting each moment with a beginners mind, being open and curious. “This means, essentially, letting go of pretence and self-critical judgement and allowing self acceptance – letting yourself be who you truly are”. ……”By staying centred in your peace in the midst of daily life, you will validate your new perspective of yourself and gradually become fully convinced”. In practice, I find patience and peace. What weight can you put down right now, willingly relinquishing the pointed quills of guilt or judgement? What burden of the heart can lift, what dark corner can be lit, the candle flickering at first, then burning bright? With the next breath, let it go, that old story you’ve told yourself a million times. Whatever doesn’t serve you on this path of truth, leave it behind. Offer this one gift: the simple sacrifice that in the giving sets you free to fully live. Five months ago today I said goodbye to a dear friend: my beloved dog, Buffy. It was an excruciatingly decision to have her put down; she was in pain, stumbling and had not eaten or taken any water for 2 days. My beautiful sweet girl was 14 years old and it was time for her to rest. From that moment on, everything changed: I couldn’t bear to walk along the river without her, coming home to any empty house was avoided, the end of my bed was cold and I couldn’t face my morning meditation practice. Something I did notice through the grief, was my ability to meet the moment as it was. I didn’t suppress the tears, the ache in my heart – I opened to it all. Through my training and practice in meditation (especially iRest meditation), I had learned to meet the moment as it arises, to not deny or suppress what is present, even when difficult or painful. What I noticed (even though my daily meditation had slipped) was that the 2 years I had put into establishing my practice had provided me with the necessary tools to navigate this time with presence and grace. As we learn to meet what arises, welcoming life as it is, rather than how we would like it to be, be can move more easily through emotions rather than getting “stuck”. When we truly meet and sit with whatever is present, we experience the transitory nature of our thoughts, emotions and of life itself. iRest meditation, has provided me with the tools to navigate the ups and down of life with more grace, acceptance and ease. Through the commitment to a regular practice over time, we can establish the inner resources that help us navigate the most challenging of circumstances. I have found this to be true time and time again. We have adopted two rescue dogs, Boz and Bindi, 10 year old Whippets and they bring us so much joy. I am feeling more myself each day and look forward to re-establishing my meditation practice in the near future. I welcome my commitment to practice (abhyasa) AND the time to let it go (vairagya). It’s the ebb and flow of life. I trust in the process, I trust in life.